Taken from an episode of Miguel de Cervantes’ tale, the ballet follows the lofty adventures of Don Quixote into Barcelona. Here, he meets Kitri, an innkeeper’s daughter whom he thinks is his ladylove Dulcinea. Kitri, in turn, is enamored by Basilio, the poor local barber of whom her father doesn’t approve. Mayhem ensues as the gentleman from La Mancha unwittingly helps the two lovers have their happy ending. Catch this very special run of Don Quixote on February 9-18, 2018 at the CCP Main Theater. Special Gala Nights with Mr. Gatti and the MSO are on February 9, 8pm and February 10, 7pm. For tickets, call Ballet Philippines at +632-551-1003, the CCP Box Office at (+632) 832-3704, or Ticketworld at +632-891-9999 or go to Ticketworld.com.ph. Purchase "Love Always" CD at the venue and have it signed after the show! Stay tuned for details and mechanics on Showcase Access and Meet & Greet Opportunity to be announced soon. Nearly 100 artists from the Philippines and overseas will enter the gates of Manila’s ancient walled city to exhibit works for the first Manila Biennale this February 3 to March 5, 2018. Heralded as the “first art experience festival in the history of the city”, Intramuros will reinvent itself as a vast art exposition for sculpture, painting, video, film, performance, architecture, and installation. 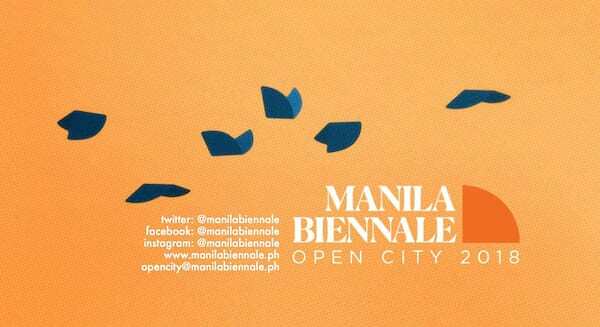 The public is enjoined to support this initiative through participation in Manila Biennale tours, lectures, events. 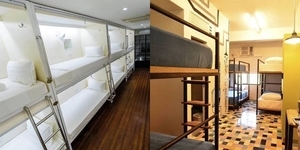 For further information you may contact the Manila Biennale Office: Phone: +632-4844945; Cellphone: +63936-8886478. 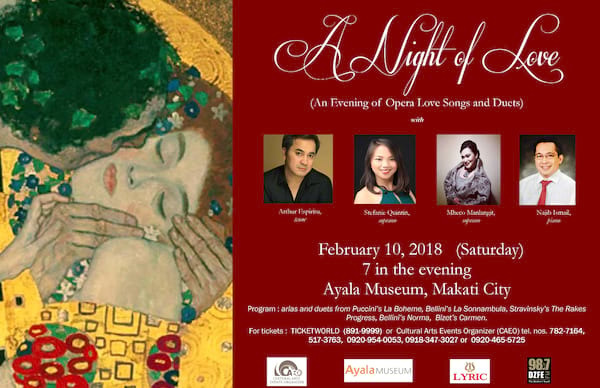 After enthralling audiences in Europe and Israel last year, Filipino tenor Arthur Espiritu returns to his homeland for a pre-Valentine concert, “A Night of Love,” featuring opera arias and duets about love, on Feb. 10, Saturday, at 7 in the evening, at the Ayala Museum, Makati Ave., Makati City. 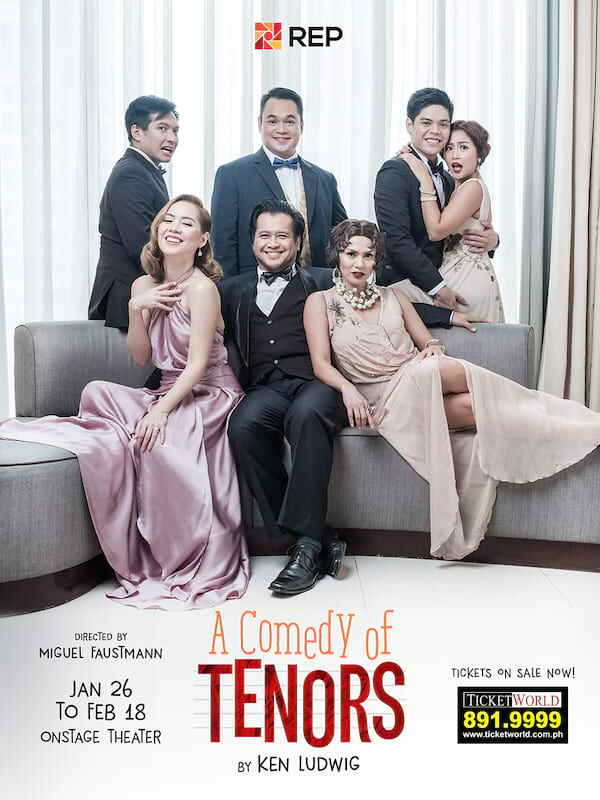 Four of the country's top classical music artists (Espiritu, sopranos Stefanie Quintin and Mheco Manlangit and pianist Najib Ismail) will be together on one stage performing love arias and duets from Puccini’s La Boheme, Gounod’s Romeo et Juliette, Meyerbeer’s Les Huguenot, Bizet’s Carmen, Stravinsky’s The Rake’s Progress, to name a few. 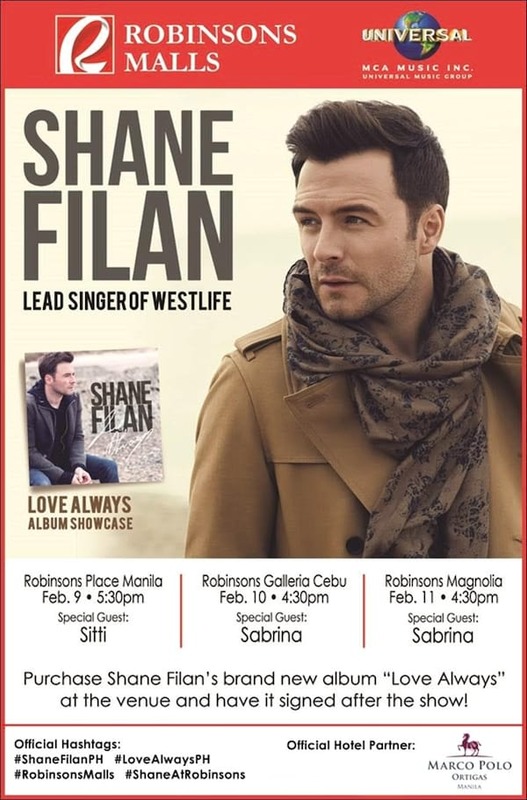 For tickets, call Ticketworld at +632-891-9999 or the Cultural Arts Events Organizer at tel. nos. 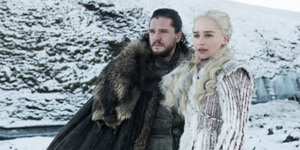 +632-782-7164, +632-517-3763, +63920-954-0053, +63918-347-3027 or +63920-465-5725. Himala: Isang musical is based on 1982 cinematic masterpiece by writer Ricky Lee and director Ishmael Bernal. 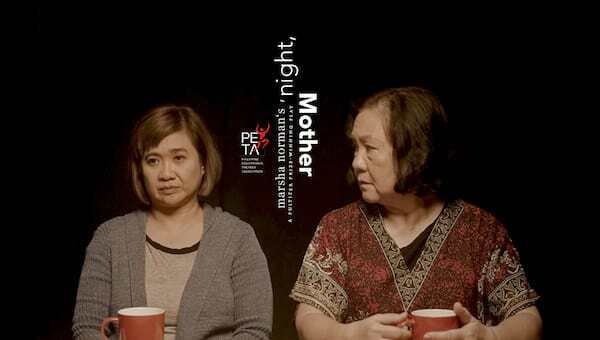 Himala or "Miracle" follows the story of a young woman named Elsa ( played in the film by Nora Aunor) whoe becomes the savior in the eyes of this bucolic town longing to put an end to its misery and suffering. 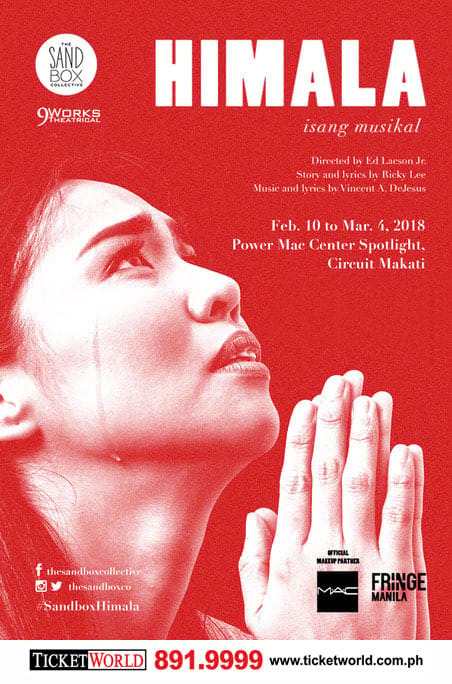 With music by composer and lyricist Vincent De Jesus, orchestration by Jed Balsamo, and a script by Ricky Lee, "Himala" broke barriers as one of the most celebrated film to stage adaptations in local theater history. For tickets and show buying inquiries, contact: +632-586-7105, +63917-554-5560. sab@thesandboxcollective.com.